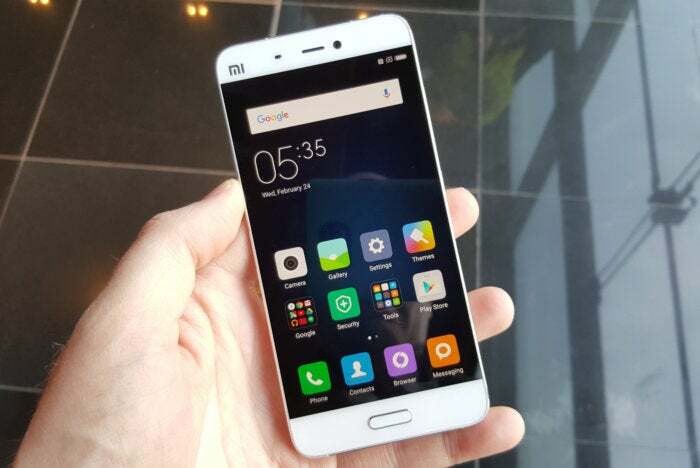 The first new flagship smartphone in over a year from China's Xiaomi packs technology to match the iPhone 6 and Samsung Galaxy S7, but at around half the price. The Mi 5 is based around the Snapdragon 820 processor, the latest mobile chip from Qualcomm, has a 5.1-inch screen, up to 128GB of storage and a 16-megapixel rear-facing camera. 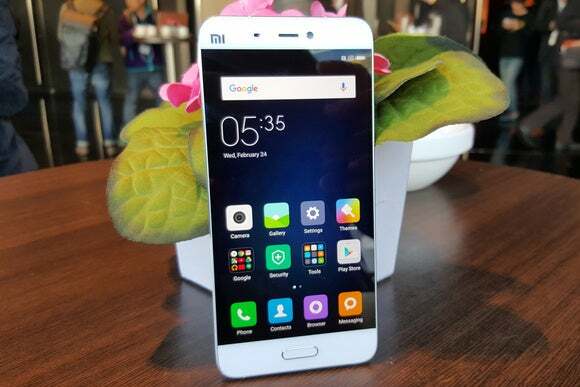 Use of the Snapdragon 820 makes the phone fast, said Hugo Barra, vice president of international at Xiaomi. "My feeling is that it’s fast, it’s fast beyond what most people can imagine," he said. And indeed it did feel fast and zippy in a quick hands-on at the launch, but that experience isn't necessarily typical of the experience users will encounter after apps have been loaded and the storage becomes full of photos. A true verdict on its speed will have to wait. The new smartphone takes most of its design cues from the Mi Note and looks a bit like many of the competing Android handsets on the market. Xiaomi has added an oblong, silver-accented fingerprint sensor under the main display, which makes it look a lot like many other Android phones on the market. And the back of the phone curves at the edges, which is reminiscent of Samsung Note 5. The Mi 5 will be available in white, gold and black -- three of the four colors of the iPhone 6S. One difference comes with the screen, which runs much closer to filling the entire front face of phone than competing handsets. There's just a sliver of the case running down each side and the area above and below the screen has been squeezed to as thin as possible while still leaving room for the sensors and buttons, Barra said. The Xiaomi Mi 5 on show in Barcelona on Feb. 24, 2016. It was unveiled on Wednesday on the sidelines of the Mobile World Congress expo in Barcelona -- the first time Xiaomi had chosen to unveil a flagship smartphone at a major international conference. It will go on sale on March 1 in China and will follow in Xiaomi's international markets, which include countries in Asia and South America. Where it departs from other high-end Android handsets is in its price. The low-end version of the Mi 5 with the Snapdragon 820, 3GB of RAM and 32GB of storage will cost 1,999 renminbi, or about US$305. That's about half the price of the flagship Samsung and Apple handsets.